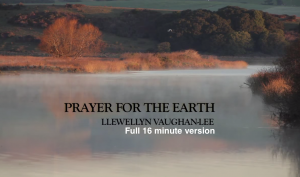 If the 3 minute video Prayer for the Earth, which I posted yesterday, resonated with you, with your Heart, here’s a longer version of the same sacred subject, again by Llewellyn Vaughan-Lee. The message expressed here is a voice of the Divine Feminine wisdom… the Original Wisdom and Life-affirming principles of the Great Mother. Please watch, listen, and see… and nourish your psyche with this reminder… you’ll be happy you did.